Meet Nick Weilinger of the University of British Columbia (Canada). 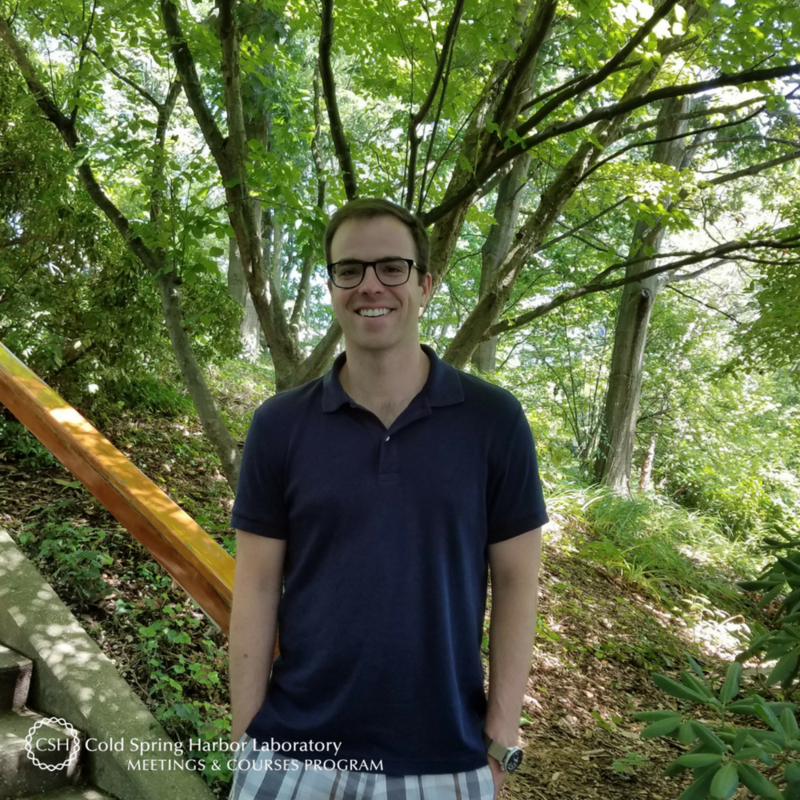 The postdoctoral fellow is a member of Brian MacVicar’s lab in the Centre for Brain Health and is on campus training at his first CSHL course: Imaging Structure & Function in the Nervous System. My work focuses on understanding how the brain swells (called cerebral edema) during stroke and traumatic brain injury. I approach this by imaging movement of chloride ions, which are crucial in controlling the volume of nerve cells by regulating their solute content. Despite cerebral swelling being a hallmark consequence of brain trauma and a major cause of death in patients with large infarctions, we have no direct way to treat the underlying changes in cell volume. In the MacVicar lab, we are highly motivated to identify novel targets for therapeutic intervention. We have developed new ways of measuring the chloride changes that trigger cell swelling under these conditions, and hope to pinpoint the key routes of chloride entry as potential drug targets. I kind of fell into it. I didn’t know what to do after undergrad, so I looked back on which courses interested me most; and my neurobiology courses stood out. I was lucky to start as a MSc student in a terrific lab without any prior experience and that led to a PhD in Neuroscience! The neuroimaging course provides students with a unique opportunity to build custom microscopes: advanced microscopy theory can be taught anywhere, but getting hands-on experience with all the equipment needed to build a microscope from scratch is a rare thing. My classmates and I will be leaving this course with the practical know-how to build, repair, and modify microscopes to answer niche scientific questions that would otherwise be difficult to address. I am confident that I will be well-positioned to teach my labmates what I’ve learned here so that we can improve upon our data acquisition methods. CSHL brings in a world-class lineup of lecturers and teaching assistants who are on the leading edge of their respective fields. Not only did the course offer tremendous learning opportunities, but the one-on-one interactions over the past weeks have fostered a new network with both instructors and students. I leave campus with new colleagues whom I look forward to collaborating with throughout my career. How many CSHL courses have you attended? Will you be attending another CSHL course or meeting in the near future? This is my first time at CSHL and I don’t have anything else scheduled, but after visiting the campus firsthand I can say that I will certainly return for a future meeting! The neuroimaging course was personally recommended to me by colleagues who have attended in the past. It is a fully immersive, challenging and, most importantly, fun experience. I would not hesitate to recommend the neuroimaging course to a colleague. What stood out to me the most was developing new friendships with trainees from across the globe - and enjoying a frisbee/football break at lunch! Thank you to Nick for being this week's featured visitor. To meet other featured scientists - and discover the wide range of science that takes part in a CSHL meeting or course - go here.